The Day is Thursday and the Lord is Jupiter placed in the sign Scorpio and the dispositor is placed in the 6th house . The Day Lord is also placed in the yama of Aquarius the 6th house of the chart where the 8th Lord is placed , this parameter is most enigmatic, more so the Day Lord is ill placed from the 2nd house and the 2nd Lord which shows concern for the 2nd house significations and hence the economy of the Country . The Karna Kinstughana is most malefic , hence Sun and the 10th Lord Mercury are most malefic in this Fortnight , unfortunately Mercury is also the Lagna Lord hence this fortnight can be most enigmatic for the Country , more so there are no bemefics in the Kendra and trikona and Malefic Saturn in the 4th house and aspecting the 8th Lord in the 6th house are another malefic combinations. Between the Lagna Lord and the 11th Lord Moon Mercury is stronger and hence the Significations of the 1st house will also be predominant in this fortnight and aspected By Saturn controlling the Trade wars, hence it seems that the Trade war between the US and China may continue . Mercury is also Stationary and as the Karna Lord and the 10th Lord in stationary condition may prove to be most malefic Parameter in this fortnight . There may be Volatility in the Stock and the Financial Markets . Taking a positive stance there may be some positive after 24 days since the Navamsha Lord is Venus and in the 1.6 navamsha hence 1.6×15= 24 days and around the 26th Dec. 2018 when Mars leaves the sign Aquarius and there is exchange of Mars and Jupiter , but mind you the relations can still be smoky since Rahu and Ketu the Prime Planets are in adverse motion and may not let a good frucifications out of the summit . As per my reading The Trade war can escalate , The above is only taking a positive stance. Moon is placed in the 8th house in Vish ghati aspected by Mars and Saturn , unfortunately the 8th Lord who is also in fallen condition aspects the Moon, hence Moon is in most afflicted condition. 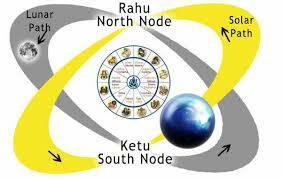 Moon is also in the nakshatra of Ketu who is placed in the 9th house with Mercury, the affliction to the 2nd house and the 2nd Lord Mercury is bad since Mercury is also the 2nd and the 11th Lord of the Foundation chart and Transit Rahu and Rahu in Progression chart is over the Natal Mercury almost degree-wise . Further since the Dasha of Rahu-Rahu-Rahu is in operation at the time of the start of the Progression chart Rahu will be instrumental in giving loses to the Country in for the Stock and the Financial Markets . Jupiter is fallen in this chart aspects Moon is also the most Venomous Parameter .The Country may face all kinds of Natural and Unnatural Disasters apart from the Break in the Stock and the Financial Markets it so seems . Hence from the above above we can say that Rahu Dasha for US may not be a Benefic one and may prove to be most enigmatic for the Country . The Country Economic Condition may also suffer after 25th March 2019 and around the Eclipses in 2019 as below more so when it is also visible in the Country . 2019 Jan 06: Partial Solar Eclipse. 2019 Jan 21: Total Lunar Eclipse. 2019 Jul 02: Total Solar Eclipse. 2019 Jul 16: Partial Lunar Eclipse. The countries set an ambitious deadline of 90 days to reach a broader trade agreement, with the White House warning that if they did not come to terms by then, Mr. Trump would raise the existing tariff rate to 25 percent., It seems that the Truce is temporary and will fall apart soon with in 90 days . The Stock Market although may show signs of Recovery and hence become Volatile from the Monday 3rd Dec. 2018. According to planetary positions the Truce may fall apart very soon after the Eclipses specially in 2019. It is clear that till such Time frame the Stock and rthe Financial Markets may become extremely Volatile . The above analysis of the Dasha of Rahu is based on the Chart taken By K N Rao with Leo Lagna and seems more euthentic as compared to the Sagitarius Lagna for US , But in Case My Prediction fail it will be merely on the Chart of the US as Leo Lagna In case of Sagitarius Lagna the Lagna Lord and the 4th Lord will be in most venomous state in Fallen state from the 23rd April to 5th Nov. 2019, hence in any case the Country has to suffer , the only thing is the time frame may falter.